If you are looking for a door that will transform and enhance your Woking home, then Jewel Bi-Folds has the perfect door for you. Our aluminium sliding doors inherit incredible form and function and will allow you to enjoy easy access to your garden. Our aluminium sliding doors will let a huge amount of natural light, as you are essentially replacing one wall with glass, and will make your home appear more spacious and better illuminated. The slimline profiles on these beautiful doors allow you to enjoy the beautiful scenic views of your Woking property. We have composed this handy guide to provide you with more information about our aluminium sliding doors and the features and benefits they will bring to your Woking home. At Jewel Bi-Folds we understand that aluminium sliding doors have a reputation for not being particularly secure and offering poor thermal performance. However, our fantastic range ultimately puts these claims to bed. 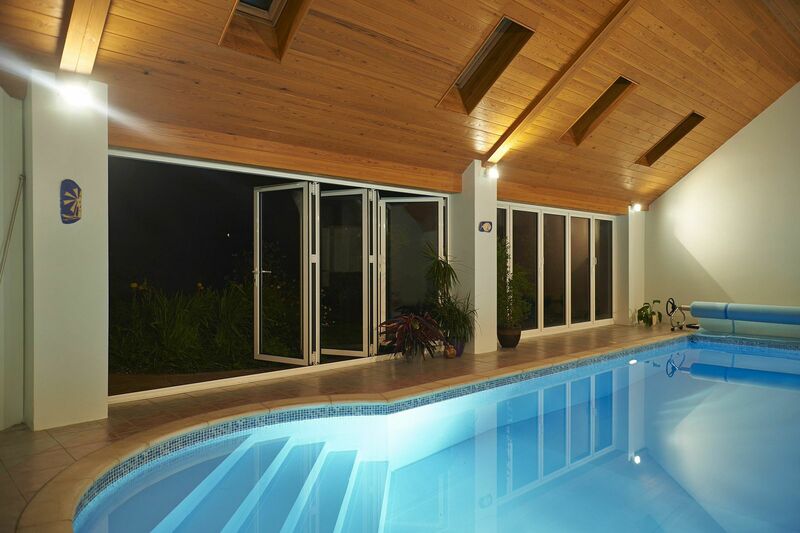 We offer two different ranges of aluminium sliding doors to customers in Woking. Both ranges are high quality and offer incredible performance, but do have their individual traits. This excellent range of aluminium sliding doors is available in woodgrain foils to create a faithfully traditional look without sacrificing the benefits of modern double glazing technology. Highly insulated, these doors offer incredible thermal performance as well as soundproofing, to ensure that your home is a warm and comfortable place for you to relax in. They also include amazing security using sturdy and durable aluminium as well as top of the range locking mechanisms. These doors will keep your property safe and secure. Our Air Sliders range supplies the highest standards of security. 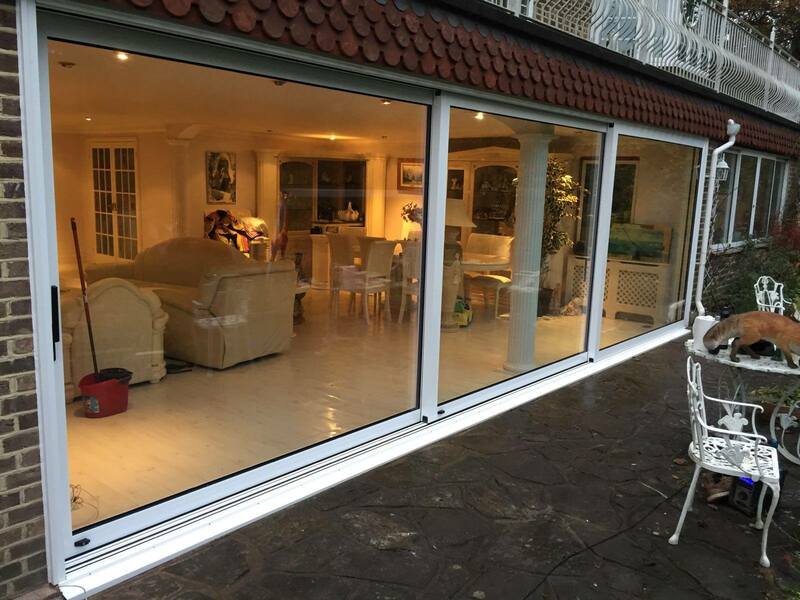 These aluminium sliding doors have achieved Secured by Design accreditation, which means that they have undergone the meticulous crime prevention testing necessary to prove that they are an incredible safety asset to any Woking home. They are also incredibly weatherproof, draught-free and thermally efficient, so your home is guaranteed to be warm and comfortable all year around. When it comes to durability, aluminium is undoubtedly the best material to use for your double glazing. Our aluminium sliding doors are so long lasting, that they are guaranteed to be a cost-effective way to improve your Woking home. Our aluminium doors need only the lightest maintenance to have them looking and performing at their best for years to come. Aluminium double glazing will often last for decades rather than years, so you can expect our sliding doors to perform to the highest standard for a long time to come. Unlike timber doors, our aluminium sliding doors will never warp, rot or discolour and will continue to look as good as new for the entirety of their lifespan. Our aluminium sliding doors are available in a vast, beautiful range of colours, so you can tailor your doors to suit your home as well as your personality. We offer bright colours to add a vibrant touch to your home as well as understated colours to give your home a beautifully traditional look. Each colour is available in several shades so you can completely match your new doors to the rest of your double glazing. If our helpful guide has piqued your interest and you would like to receive a free quote on one of our aluminium sliding doors, please head over to our online quoting engine. We will have a quote ready for you within minutes, tailored to suit any specifications and dimensions you have given us. At Jewel Bi-Folds, we are dedicated to providing highly competitive prices and will never place you under any obligation to buy when you use our instant quoting system. On the other hand, if you would like to speak to a member of our highly experienced and professional team regarding our aluminium sliding doors or any of our other products, please do not hesitate to get in touch with us. Our experts will get back to you as soon as possible and will happily answer any questions you have and provide you with any further information you need. Let Jewel Bi-Folds help you through the entire home improvement process.